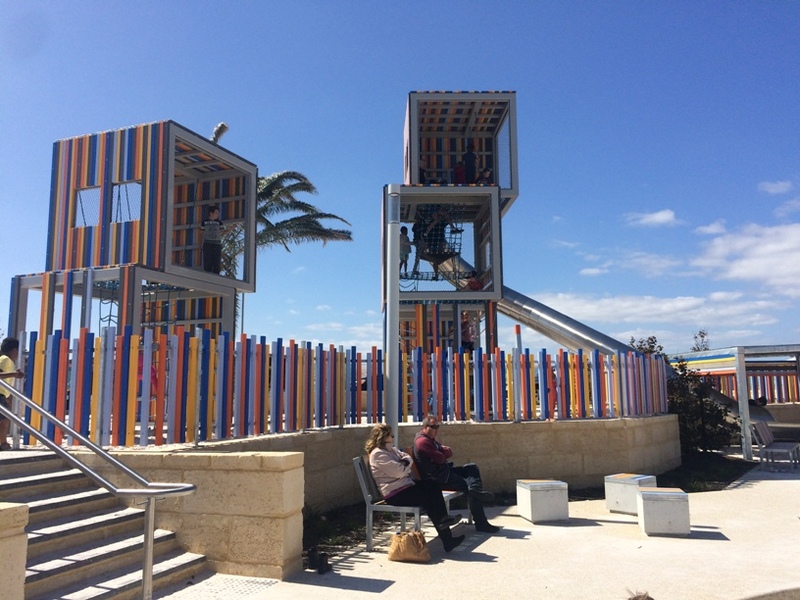 At Eden Beach Foreshore Playground Jindalee, play has been taken to new heights with a massive three storey climb to a tall winding slide and long ropes play equipment to challenge their coordination and strength. When you arrive your kids will no doubt run straight to the tall tower climb to head down the big enclosed slide. The climb to the top is a real challenge with a series of ropes inside the three storeys of cubes stacked on top of each other and is defintely one for the bigger kids. This slide may get quite hot in summer so please check this before they head down on a hot day. The end of the slide has shade over it. 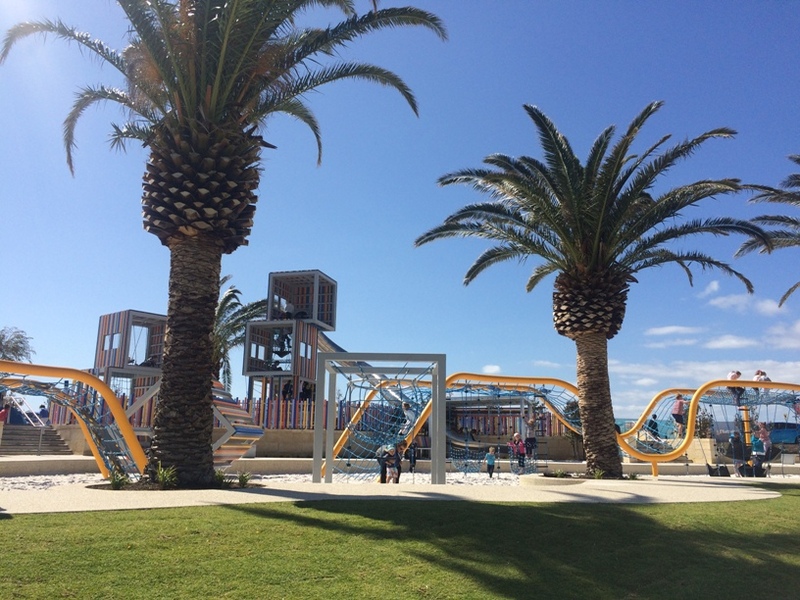 The other popular feature of this park is a long series of ropes challenges. Kids need to use their coordinaton and strength to work their way from one end to the other and to climb up and own the sides. 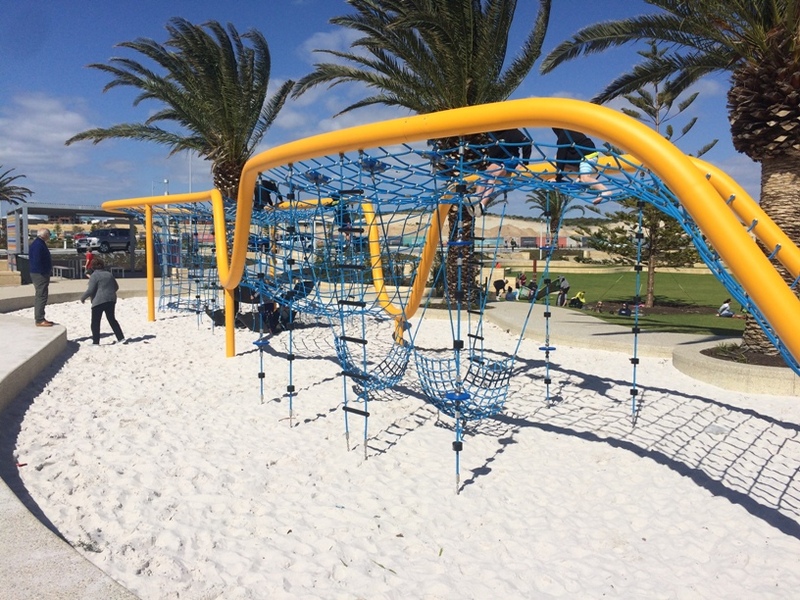 This one is also more suited to the bigger kids. It's not all about play though, there are some hammocks and hanging baskets underneath perfect for some chill time! 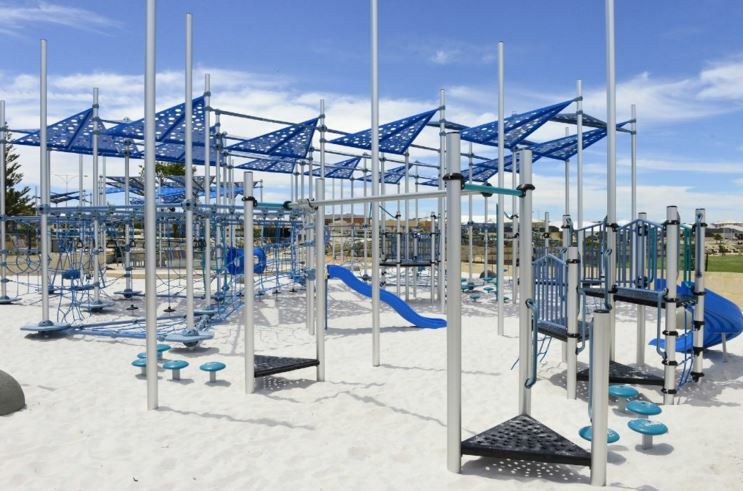 The little kids don't miss out at this playground. There is a smaller ropes challenge for them. 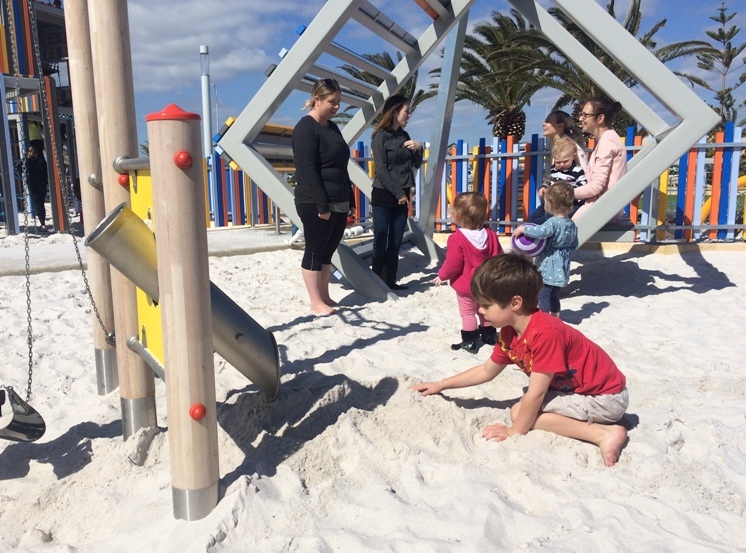 There is also a toddler play area with little slide (also may get very hot in summer) and swings. 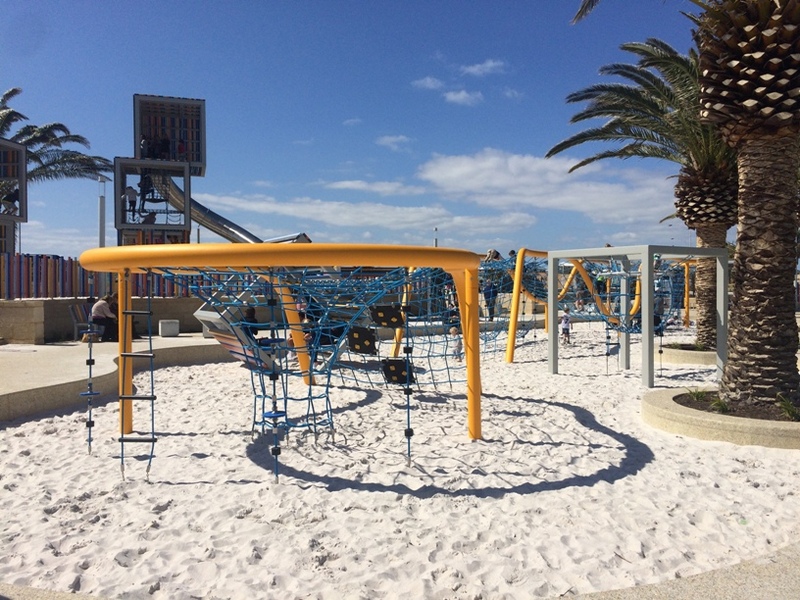 You'll find all the facilities you need here with toilets, bbqs, several picnic shelters and a water fountain. 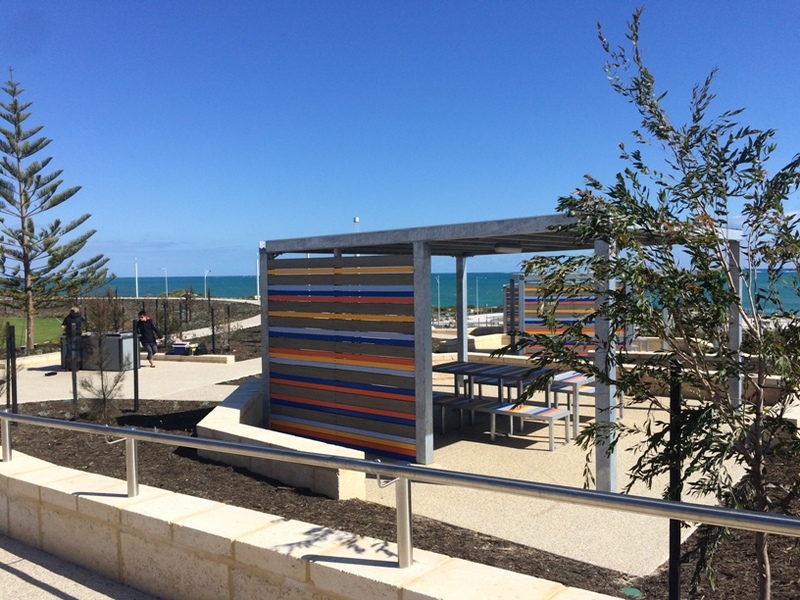 The Local Farmers Market Eden Beach is also held here in the warmer months on Saturdays 8-12noon. Parking may be a challenge on a busy day (particularly when the market is on) with a small carpark and mostly street verge parking. You can most certainly play the day away here with a big grassed area for some ball or picnic time and a footpath that goes right around the grassed area, perfect for small bikes and scooters. 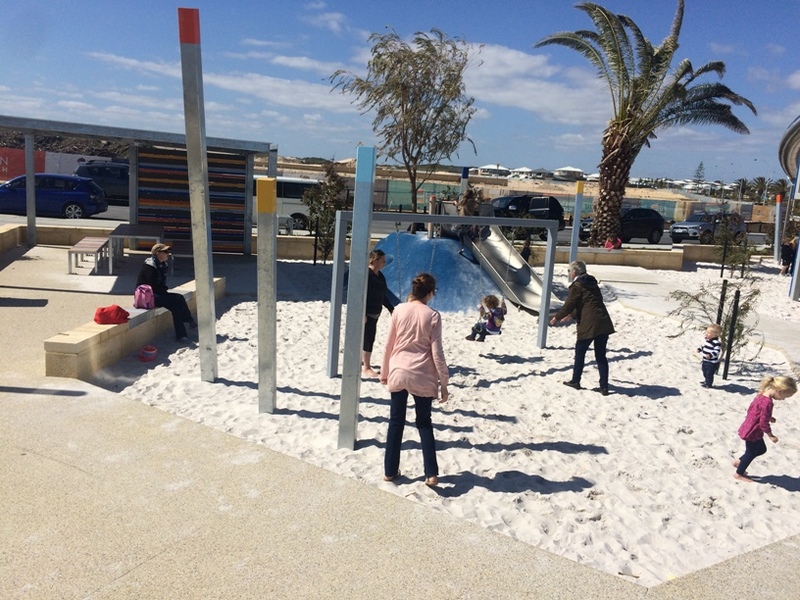 It's right on the foreshore of the beautiful Eden Beach so you can mix it up with a swim at the beach in the warmer months. 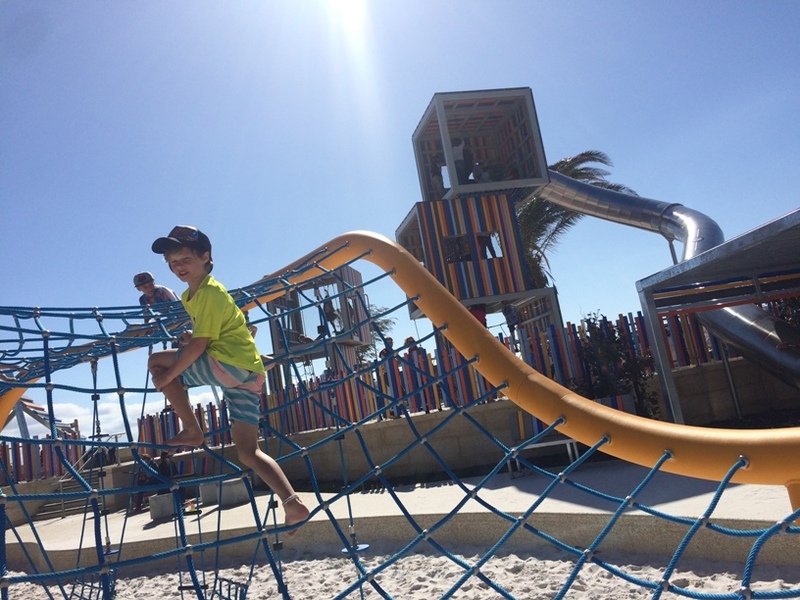 Just in case one playground isn't enough, there is also the Eden Beach Ropes Challenge Park (see review below) just down the road which is also an awesome park to explore.